Oct. 2nd thru Oct. 4th 2012! IBEX 2012, the marine industries largest trade event in North America, is coming to the Kentucky Exposition Center in beautiful Louisville Kentucky. With over 1,200,000 square feet of indoor space and acres of outdoor exhibit area, the KFEC provides a great venue for a great event! IBEX, owned and produced by The National Marine Manufacturers Association (NMMA) and Professional Boatbuilders Magazine, it is considered the largest technical marine event in the world. With more than 80 seminars in 13 tracks, this is the most valuable three days for all marine professionals. Over 100 of the industries leading professionals, from both technical and business venues, will be providing education and demonstrations this year. Over 500 vendors from around the world will be participating in this years event, from boat builders, marine dealers, and marine operators to retail after market suppliers and buyers! Over 5500 attendees are expected in Louisville this year and our great city will roll out the red carpet. The city of Louisville offers dozens of hotels and motels for our guests, many are near the KEC and more just a short taxi ride to the downtown business and entertainment districts. Louisville offers a large choice of diversified, fine dining establishments, three major entertainment districts and the Horseshoe Casino Southern Indiana! 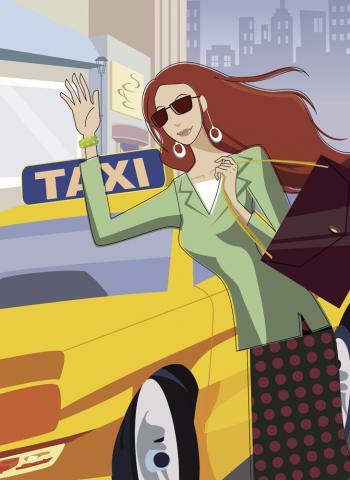 So take a Louisville taxi where you need to go, Louisville taxicabs are knowledgeable, friendly and willing to provide you with excellent customer service. Paul has been serving the area for over 13yrs and provides great service and a wealth of information about the region. 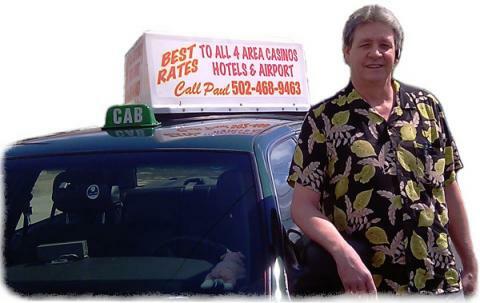 When you need a professional taxi driver in Southern Indiana or the Metro Louisville Area call Paul, you’ll get a clean taxi and great ride, so call Paul now! The Greater Metro Louisville area has several taxi companies to choose from. We will provide an exhaustive listing of Louisville, KY cab companies for your convenience. Paul’s Taxi Service is providing a list, these are not endorsements, please visit the review links to learn more about a particular Louisville taxi company. Remember when choosing a taxi cab in Louisville KY give Paul a call – (812)697-5296 for prompt service from a knowledgeable drive with a clean cab!!! 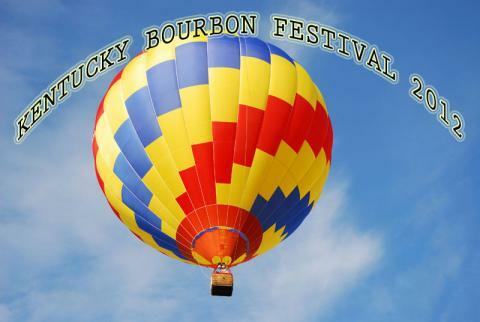 The Kentucky Bourbon Festival will be held in historic Bardstown, Kentucky from September 11th-16th; a six day event with activities for the whole family! 8pm (Fri) Bluegrass Entertainment & Exposition Complex, Sutherland Ln. So call Paul if you need taxi cab service to any of these great events, or a taxi ride home. Hello Kentuckiana! Very soon I will be posting info on cool things going on in the Metro Louisville Area,such as schedule of events and concerts at the Kentucky State Fair and the unique fine dining available in Metro Louisville. We are fortunate to have a wide verity of events to attend In Louisville and Southern Indiana, A.K.A. The Sunny Side Of Louisville! From Restaraunt Row to The Horseshoe Casino Indiana and The River Stage, Southern Indiana adds an excellent venue of entertainment to enjoy! I look forward to being your guide to great times!